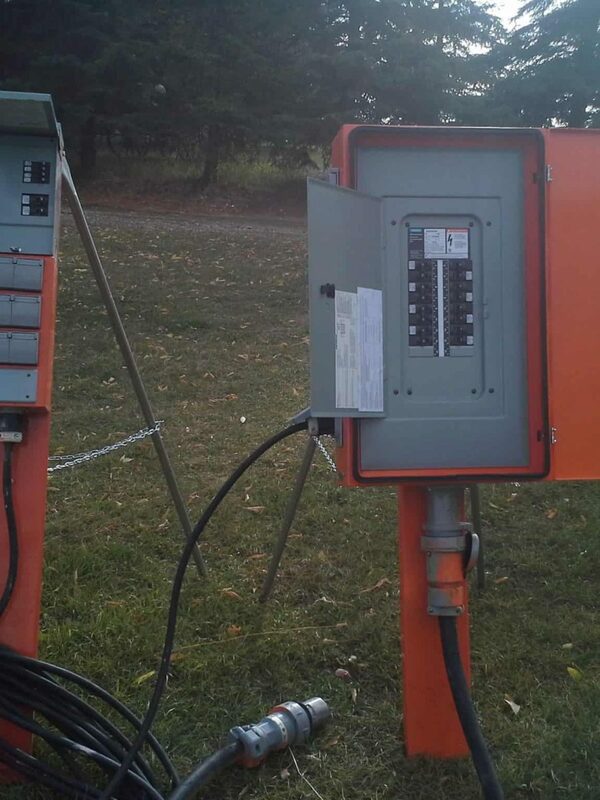 These power panels are a really good, robust solution for your temporary electrical power requirements. 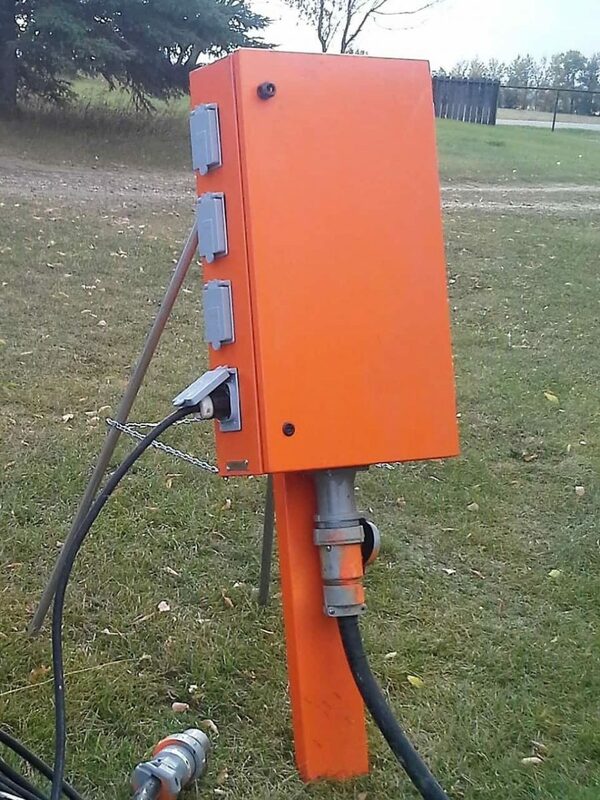 They were originally developed for oil field remote camps. We set them up in their parking lots. 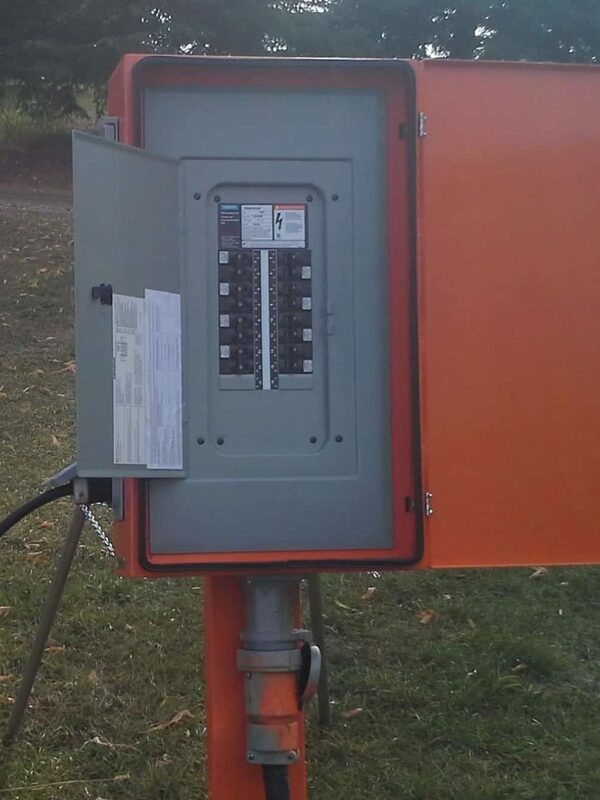 One Main Distribution (100amp, 3 phase, 120/208V) panel can feed up to 8 smaller (30amp, 3 phase, 120/208V) sub panels and each sub panel has up to 6, 20amp, 120v receptacles. As it turns out they are good for just about any temporary application. General Contractors for construction sites especially love them. 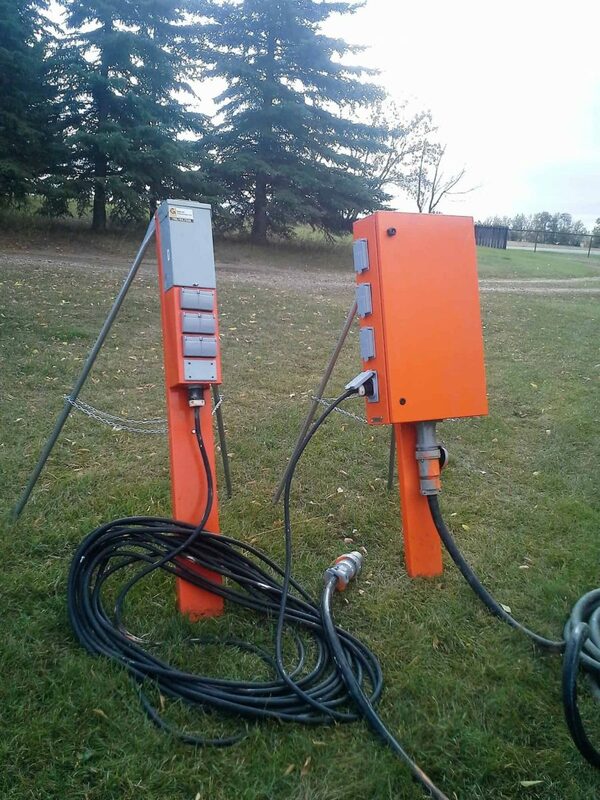 They are also customizable for welder plugs, RV plugs and more.